Michael Johnson is a partner in the San Francisco office of Lewis Brisbois. Mr. Johnson’s practice focuses on complex litigation including trials and appeals in State and Federal Courts. 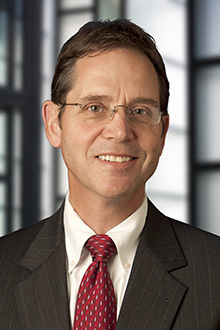 His primary practice areas include business and commercial disputes, environmental, insurance, and general liability. Mr. Johnson was certified as a specialist in appellate law by the State Bar of California, Board of Legal Specialization from 2000 to 2016, and although no longer practicing as a certified specialist, continues to handle appeals in state and federal court as a regular part of his practice. Trial experience includes: three week jury trial arising from a motorcycle accident (defense verdict); 8 week indemnity/property damage trial involving damages in excess of $9 Million (defense verdict); Real property dispute involving boundaries, easements, drainage, damages etc. (favorable verdict); contract dispute; $3M contract dispute (favorable verdict); large insurance coverage dispute; 1 week pharmacist assault (favorable verdict); 1 week product liability (defense verdict); 3 week fire loss trial, probable liability and $1.5 M demand (plaintiff verdict for much less than our settlement offers); 3 week group home malpractice trial (very favorable verdict - less than our settlement offers); 7 week CERCLA trial in federal court (very favorable verdict); 3 week business tort trial (defense verdict); 1 day trial of real estate E&O claim (nonsuit); 2 week environmental mass tort jury trial (defense verdict); 4 week legal malpractice jury trial (defense verdict/hung jury); 2 week insurance subrogation trial (favorable verdict); and 3 day food poisoning trial (defensed). Numerous arbitrations, mediations and other ADR resulting in favorable resolutions, including complex multi-party disputes. Mr. Johnson joined Lewis Brisbois Bisgaard & Smith as a partner in 1999. Mr. Johnson frequently presents programs for clients and professional organizations, as well as in house, on a variety of topics, including proactive defense of cases, risk transfer (indemnity, additional insurance), California Fair Claims Settlement Practices Act, punitive damages, premises liability, legal research and writing, appeals and writs, etc. Lawyer Liability to Non-Clients Under the New Restatement of Law Governing Lawyers, IADC DEFENSE COUNSEL JOURNAL, 1998. Appellate Practice 101: Master the Basics, Avoid the Traps, MCLE Program presented with Associate Justice Barbara J.R. Jones for the Bar Association of San Francisco, May, 2000. Also presented for the Solano County Bar Association, November 2000. California Case Triggers Supreme Court Ruling on Joint and Several Liability and Arranger Liability Under CERCLA, Environmental Law News, published by the Environmental Law Section of the State Bar of California, Vol. 18, No. 1, Summer 2009. Views on Burlington Decision and Impact Upon CERCLA Litigation, CLE program presented to the Environmental Law Section of the Bar Association of San Francisco, June 2009.